I always feel like I’m the only one who asks questions that seem simple in theology – like everyone else around me has it all figured out and I am the only who doesn’t. Prayer is something I just seem to have questions with – and then I get to a point where I feel like “well, my questions really don’t matter because the Bible says I should be doing it” and move on away from my questions. But this one question keeps popping up. It’s extremely elementary but it still caused me to question… so what is it? The question: Why should I pray the same thing or for the same person every single day? Why can’t I pray it – and then move on because God has heard my prayers? Start again. 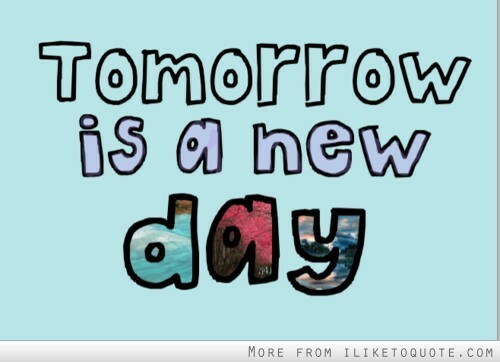 Tomorrow’s a new day. Imagine being at a new job in a manufacturing company. You can only do as much work as the knowledge your boss has trained you in. Working for the Lord is no different. Your prayers will sound the same unless you learn His knowledge and read. Your spiritual gifts will remain dormant or flatlined if you don’t invest time into understanding them 100%. Your giving will struggle if you don’t have the fullest meaning of God’s abundant love. You can’t hear the Lord if you don’t know what He sounds like! So how do you start doing this? Get an app on your phone, or set your home page for the internet to a daily bible verse. Everyday read the verse and ask yourself how you can apply it to your life or someone else’s life. It’s a great way to begin this journey. Also, set aside 15 minutes in the morning to pray/worship. This is the best way to begin your day anyways. At first it is going to seem like a task, that you are doing it out of requirement; but, if you hold on long enough and keep pushing, it will become part of “what you do” and you will begin to enjoy time with God each morning. You will feel naked without it. This morning it seemed everything was pushing against me trying to get into prayer time. Everytime I would attempt to get started something happened. But I pushed through… When things seems to be getting in the way keeping you from prayer time, church, responsibilities within Christ‘s ministry for us it’s the enemy. He doesn’t want us to do anything for Jesus. He wants us to screw up – he wants us to cheat – he wants us to make so much money we lose focus – he wants us to think our success is because of “our hard work”. But it’s a lie… every bit of it. God is the author of our success. He is the author of healed marriages and our accomplishments. Prayer time is the greatest and strongest weapon you have to face your day. The Bible (also known as your sword) is your defense. Study it, know it. How can you defend yourself in battle if you are not prepared? The military doesn’t sit around eating jelly doughnuts and then, “oh! it’s time for war!”… They have PT every morning, study their field of specialty, and constantly practice training exercises. Do you? Are you up every morning (or every night) studying? Then there is prayer time. This is how you get ready. Meditating on your sword’s blade – sharpening it every chance you get. Would you want to enter war with a dull blade? Prayer is your greatest secret weapon. The enemy doesn’t have it. The enemy knows scripture and will tempt you by manipulating it every way he can… but because you are studied up, prayed up and prepared you will be able to tell the difference. Otherwise you just fall into the same trap every other person in this world falls into. Do you want to be ordinary for God? Or EXTRAordinary for God?